Home › Sermon Notes › 91 Scriptures on the Person and Function of the Holy Spirit. 91 Scriptures on the Person and Function of the Holy Spirit. In Acts 19:1-2 the story is told….. It is my heart that no one in Nowra City Church can say what the early Ephesus church said – We have not so much as heard whether there is a Holy Spirit. So for the month of August we are calling it AweGust and we are having an elevated focus on the Holy Spirit. 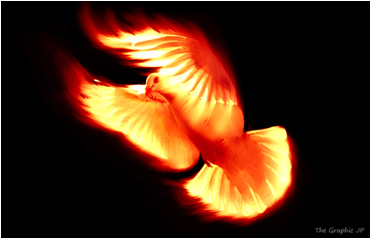 To prove scripturally the Holy Spirit we have taken a couple of Sunday Mornings to go through verse by verse the mentions of the Holy Spirit. This is not a exhaustive list – but its pretty comprehensive. Hope these notes help your journey of discovery of the Holy Spirit. The earth was without form, and void; and darkness was[a] on the face of the deep. And the Spirit of God was hovering over the face of the waters. The Spirit of the Lord came on him, so that he became Israel’s judge[a] and went to war. The Lord gave Cushan-Rishathaim king of Aram into the hands of Othniel, who overpowered him. And the Spirit of the Lord began to move upon him at Mahaneh Dan[a] between Zorah and Eshtaol. These books don’t even mention the Holy Spirit yet they are prophetic books of the bible. 26And it had been revealed to him by the Holy Spirit that he would not see death before he had seen the Lord’s Christ. Jesus answered, “Truly, truly, I say to you, unless one is born of water and the Spirit he cannot enter into the kingdom of God. 38 He who believes in Me, as the Scripture said, ‘From his innermost being will flow rivers of living water. 39But this He spoke of the Spirit, whom those who believed in Him were to receive; for the Spirit was not yet given, because Jesus was not yet glorified. 17 that is the Spirit of truth,whom the world cannot receive, because it does not see Him or know Him, but you know Him because He abides with you and will be in you. 26″But the Helper, the Holy Spirit, whom the Father will send in My name, He will teach you all things, and bring to your remembrance all that I said to you. 37Now on the last day, the great day of the feast, Jesus stood and cried out, saying, “(B)If anyone is thirsty, let him come to Me and drink. 39But this He spoke (E)of the Spirit, whom those who believed in Him were to receive; for (F)the Spirit was not yet given, because Jesus was not yet (G)glorified. Peter said to them, ” Repent, and each of you be baptized in the name of Jesus Christ for the forgiveness of your sins; and you will receive the gift of the Holy Spirit. 31And when they had prayed, the place where they had gathered together was shaken, and they were all filled with the Holy Spirit and began to speak the word of God with boldness. But Peter said, “Ananias, why has Satan filled your heart to lie to the Holy Spirit and to keep back some of the price of the land? 15who came down and prayed for them that they might receive the Holy Spirit. 16For He had not yet fallen upon any of them; they had simply been baptized in the name of the Lord Jesus. 17Then they began laying their hands on them, and they were receiving the Holy Spirit. 20But Peter said to him, “May your silver perish with you, because you thought you could obtain the gift of God with money! While Peter was reflecting on the vision, the Spirit said to him, “Behold, three men are looking for you. 12″The Spirit told me to go with them without misgivings These six brethren also went with me and we entered the man’s house. 15″And as I began to speak, the Holy Spirit fell upon them just as He did upon us at the beginning. 1 It happened that while Apollos was at Corinth, Paul passed through the upper country and came to Ephesus, and found some disciples. 6And when Paul had laid his hands upon them, the Holy Spirit came on them, and they began speaking with tongues and prophesying. and hope does not disappoint, because the love of God has been poured out within our hearts through the Holy Spirit who was given to us..
4Now there are varieties of gifts, but the same Spirit. 5And there are varieties of ministries, and the same Lord. 6There are varieties of effects, but the same God who works all things in all persons. 7But to each one is given the manifestation of the Spirit for the common good. 10and to another the effecting of miracles, and to another prophecy, and to another the distinguishing of spirits, to another various kinds of tongues, and to another the interpretation of tongues. 23gentleness,self-control; against such things there is no law. You also became imitators of us and of the Lord, having received the word in much tribulation with the joy of the Holy Spirit,. It was revealed to them that they were not serving themselves, but you, in these things which now have been announced to you through those who preached the gospel to you by the Holy Spirit sent from heaven–things into which angels long to look. 6 Powerful Verbs from Acts that Enlarge our Understanding of the Holy Spirit’s Work in our Lives. ‹ God’s Expulsion from Victorian Schools Overturned.